Croatia’s long, languid coast that stretches between Split and Dubrovnik along the blue Adriatic, has the whitewashed laidback vibe of the Mediterranean mixed with the brash demeanor of Balkan Eastern Europe. For those who like a good dose of history with their sailing, this part of the world makes for terrific chartering. Croatia is amazingly well-suited to charter vacations. The sheer number of masts in the two marinas near the town of Trogir speaks to how much sailing is part of the culture here. 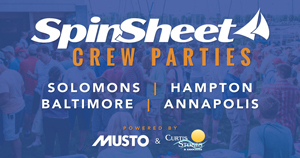 Most popular charter companies are based nearby including Moorings, Sunsail, Dream Yacht, Navigare, and many others that Americans don’t even know. And although chartering is rarely about serious sailing, Croatia’s winds provide opportunities for all-day tacking duels with the nearly all-male European crews, who are very competitive and regard a woman on the wheel as a personal affront. Even without a chart briefing, it’s easy to put together an itinerary of picturesque towns where you’re bound to get lots of practice in Med mooring (backing up to a town quay and squeezing into a slot you’d have sworn was too small for a boat). I considered myself a planning genius as we arrived in one gorgeous harbor after another until I figured out they were all incredible, so I couldn’t go wrong. 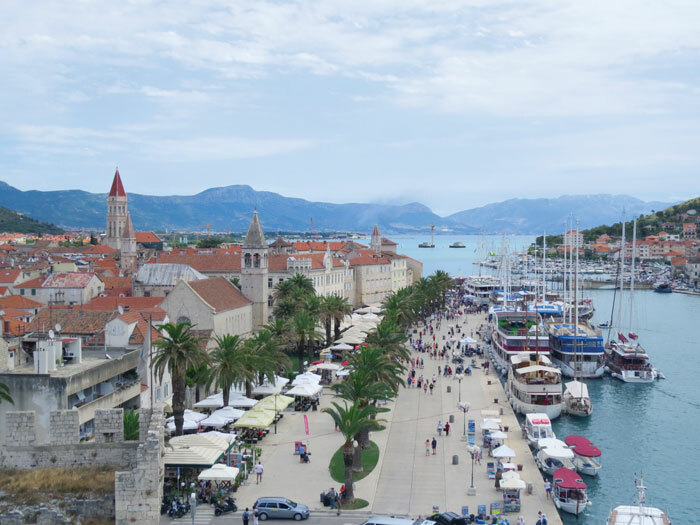 A two-week, one-way charter will take you from Trogir in the north to Dubrovnik in the south; both towns are UNESCO World Heritage sites. 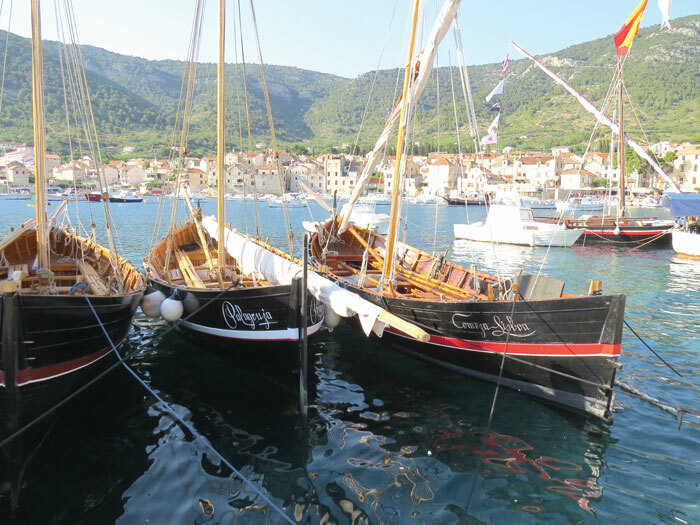 But even one week will provide a taste of the variety and charm of sleepy fishing villages, such as Komiza on Vis Island, or of chic towns such as Hvar with its bustling cafes and superyacht clientele. 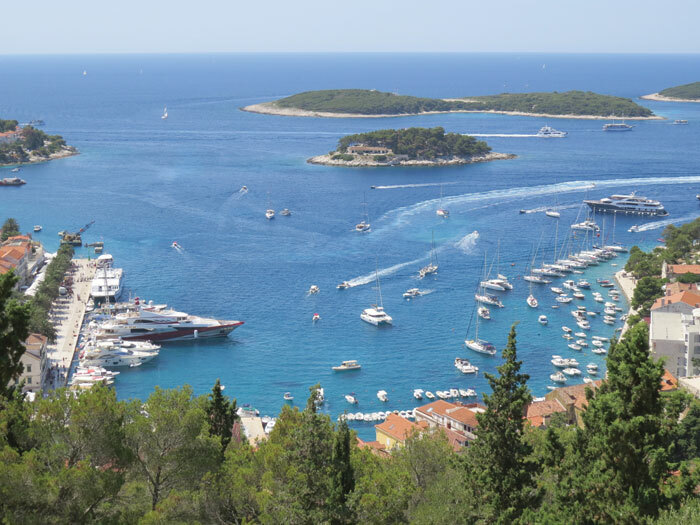 Hvar is a postcard-perfect town that gets a lot of traffic, so moorings are hard to come by, and the nearby anchorage has sketchy holding. It’s best to only set a lunch hook in Hvar and then scoot over to Pakelni Otoci—loosely translated as Hell Islands just across the bay. There’s nothing hellish about this string of islets that serve as getaways for local yachties. Beaches and water toys abound, and the various coves are great windbreaks where you can enjoy a sundowner and possibly a free nudie show, since visiting French and German yachtsmen like to let it all hang out. Medieval towns with orange roofs cluster on steep hillsides, and you can’t drop anchor in anything but a stunning harbor with a splendid town under striking cliffs. Every day, you just tick off the towns: Stary Grad on Hvar Island, Milna on Brac Island, and Maslinica on Solta Island. Tiny restaurants are packed into every alley, and hotels add exotic flair with luxurious sofas and curtained lounges on rocky beaches, an unexpected mix of the plush and the rugged. These hideaways are the prefect place to relax with a glass of rakija, Croatia’s answer to grappa, or slivovica, a plum brandy that will take the paint off your car. Souvenir kiosks line the quays, and you practically fall into them as you climb out of your dinghy. Known for its lavender harvests, Croatia does a swift business in the purple stuff, so all the products made from it including candy, soap, perfume, and so on. It makes great gifts as does the jewelry made of local polished white granite from the dry mountains that hang over Split, the nearest large city. It does help to be a vigilant sailor in Croatia, as the air is thick with machismo, especially on the water. Clueless skippers have no knowledge of right-of-way rules on open water, and many will cut in even as you’re already backing toward a spot on the quay, fenders out. It also helps to hold onto your sense of humor especially when confronted with a phenomenon known as “The Yacht Week.” The name is deceptive, as this sailing odyssey for 20- and 30-somethings lasts all summer and is a relentless onslaught on both visitors and locals. The people-watching is spectacular; although the all-night parties soon become tedious if you’re trying to enjoy a quiet anchorage. But if you avoid a collision and The Yacht Week, you’ll be mesmerized by all that Croatia has to offer from great sailing to those remarkable towns that will make you look like a master planner in the eyes of your crew—until they catch on, that is.